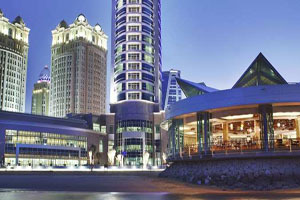 Hilton Hotels & Resorts has opened its first hotel in Qatar. The 309-room Hilton Doha has a dedicated conference wing, including seven meeting spaces and a ballroom that caters for up to 750 people. The property is located on the Corniche, 15 minutes from Doha International Airport and close to Doha Exhibition Centre.